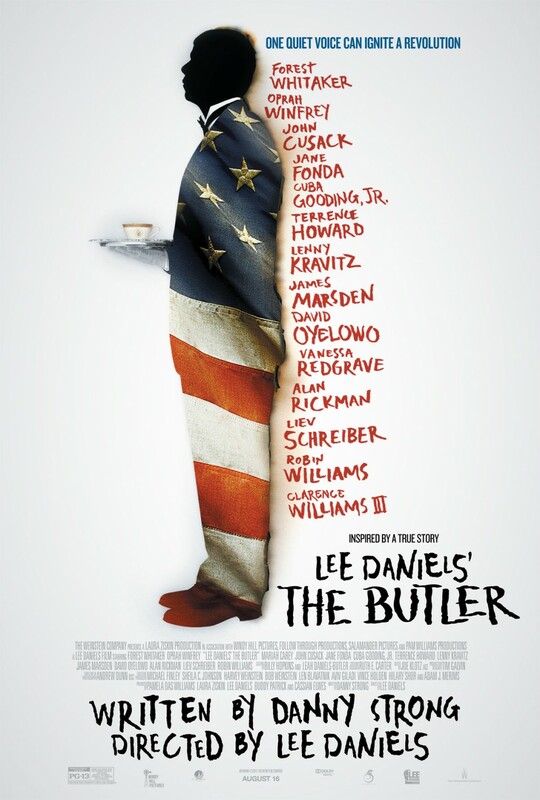 Brief Synopsis – The story of the civil rights movement in the US told from the perspective of a butler who served 8 Presidents during his tenure in the White House. My Take on it – I have wanted to see this movie for months and for some reason didn’t expect it to be as good as it was. I’m a sucker for historical movies and this one was done extremely well. This movie is very reminiscent of Forrest Gump (1994) because it gives us a story of a man who is a “fly on the wall” witnessing historical events while at the same time gives us an interesting story of this man’s life. Forrest Whitaker carries this movie with his excellent performance of a man who goes from being the son of a cotton farmer to being a man privy to some of the most secret conversations within the walls of the White House. The rest of the cast is also great and the choices for some of the Presidential cameos is truly genius; Robin Williams, James Marsden, Liev Schreiber, John Cusack and Alan Rickman shows us sides of these great men that we have never seen before. Oprah Winfrey plays Whitaker’s wife and we can really feel the turbulence and love within their marriage over the years. This movie is “inspired” by a true story, so the question will always remain as to how much is true and how much is made up for this movie. Regardless, I found this movie to be quite entertaining. The one flaw here is that the last third of the movie, seems a bit rushed since it covers a span of close to 40 years and feels quite choppy. The running time is slightly over 2 hours, so I can understand why they needed to keep it shorter, but I think this movie would have been even better had the last third been properly done without a time constriction. This isn’t THE best movie of the year, but it is one of the best. Bottom Line – Very good movie. Excellent cast. Last third of the movie seems rushed, but overall done extremely well. Highly Recommended! I liked it, too, but not as much as you. I think the famous person cameos distracting, and I think some of the characters under developed. But I also agree on many of your points. I wouldn’t call this one of the best movies of the year, but I would call it good. As to historical accuracy. It’s not. Much of it is fiction. While it is loosely based on a White House butler who did, in fact, work for eight presidents, and while that butler really was inspired by Obama’s election, he did not have a civil rights/politician son. Nor is there reason to believe he had this many important conversations with the men making huge decisions. i kept waiting to see who would play each pres. Completely agreed on the last point. I also will agree with waiting to see who would play whom. But, honestly, that’s why it distracted me. All the cameos made me constantly aware that I was watching a movie, which meant I couldn’t immerse and therefore was never emotionally invested. While I was distracted by the cameos, I still liked some of the performances. Liev Schreiber, John Cusack and Alan Rickman were all great. I thought Robin Williams missed the mark a bit, though. rw was completely cast against type. I see what u mean now abt the distraction. interesting point. I’ve been curious about this one! I’ll have to look into it!